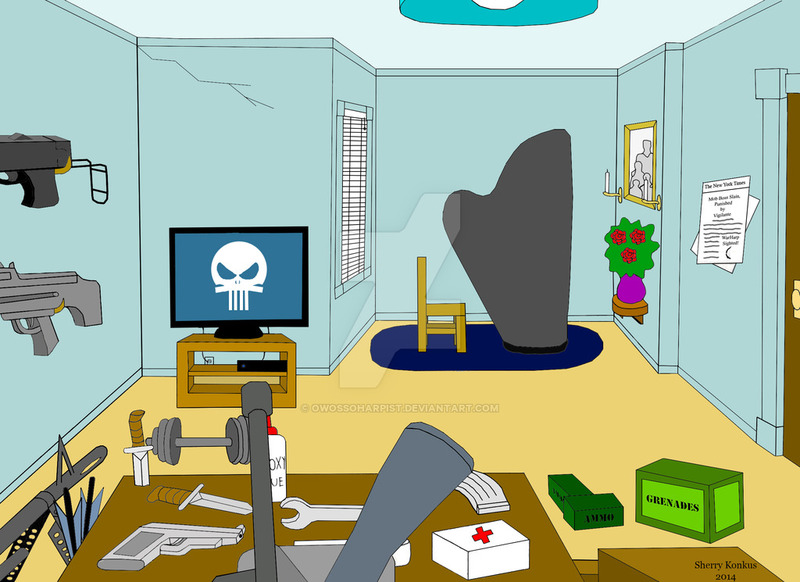 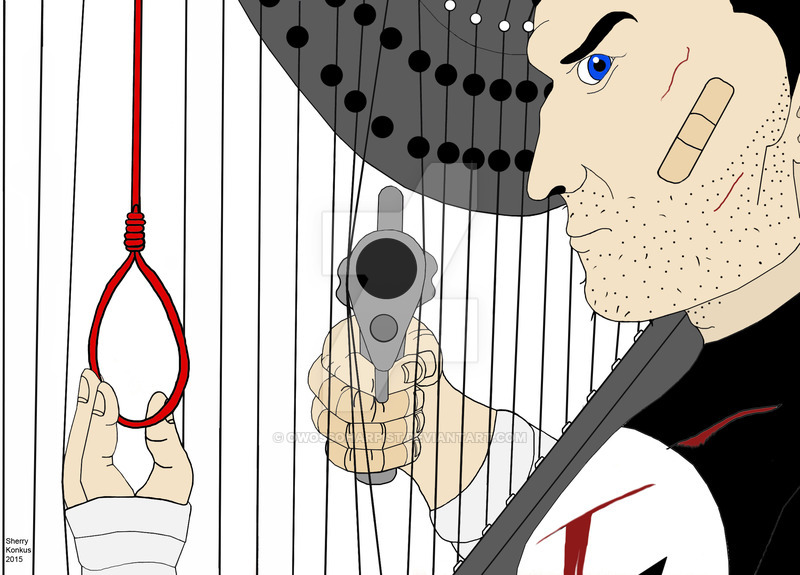 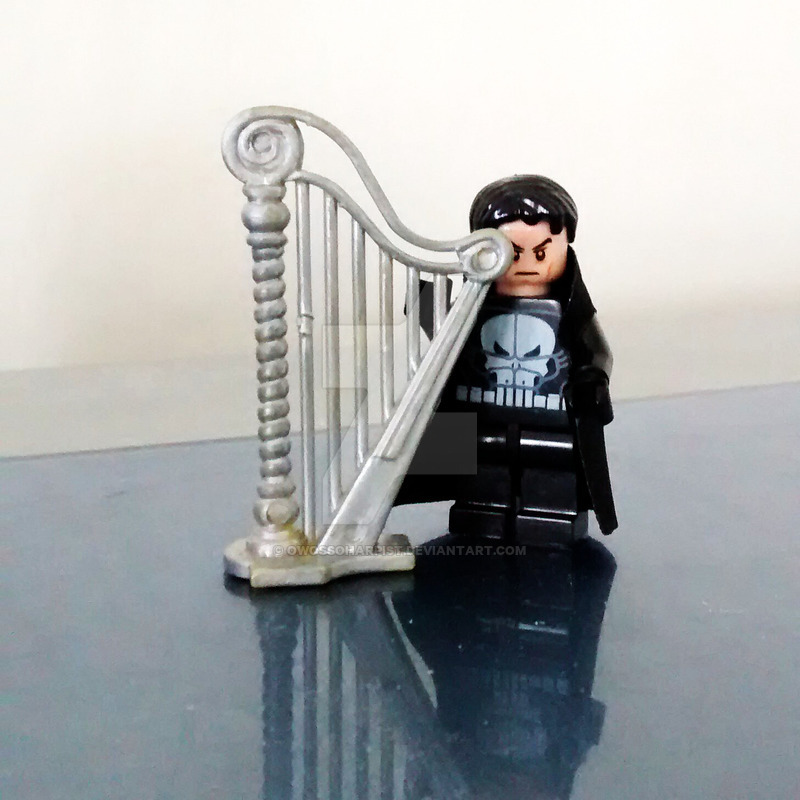 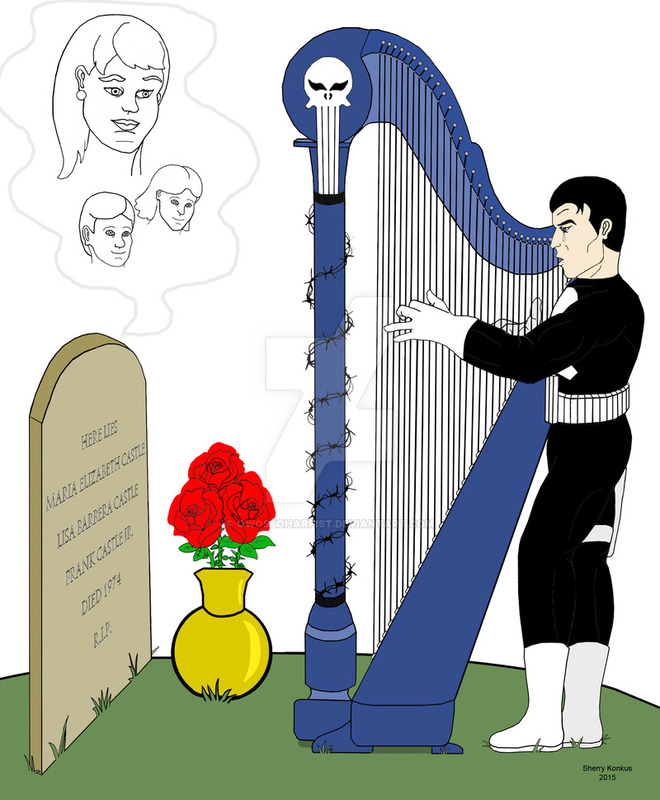 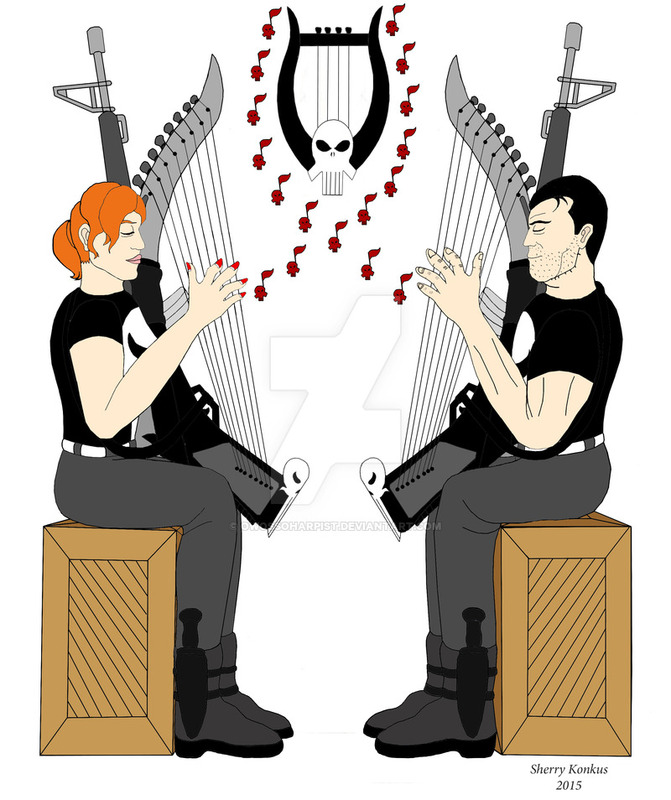 Sherry Konkus draws us The Punisher(Steve Dillon style) playing the harp! 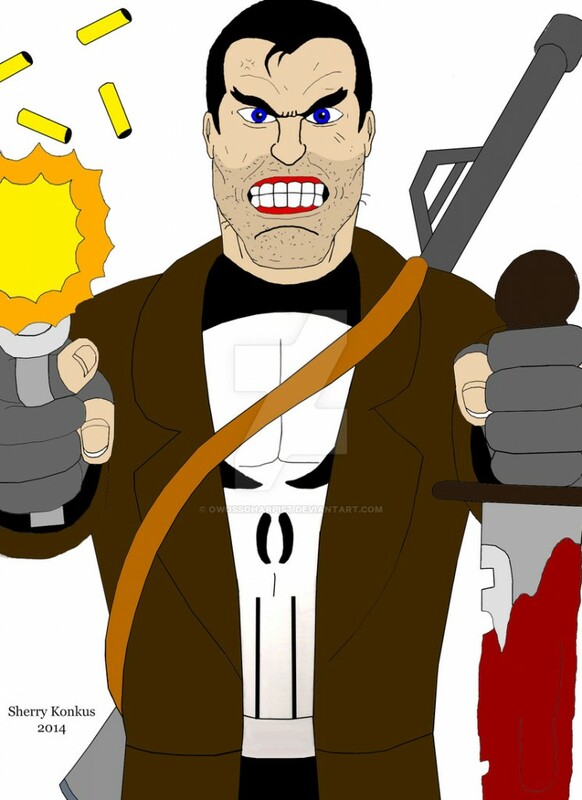 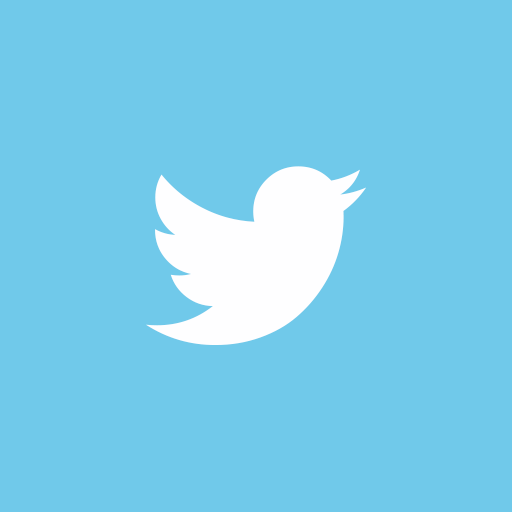 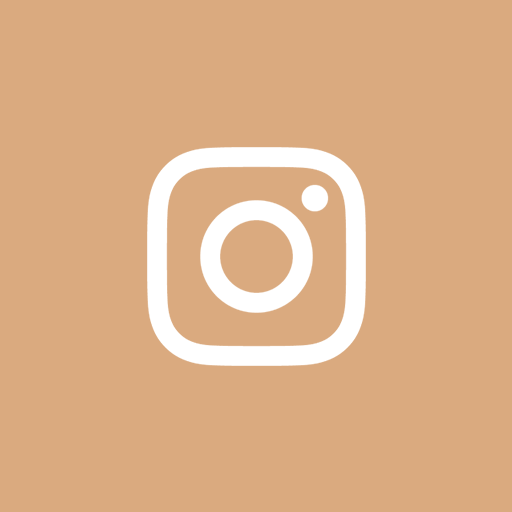 No, this is not an April Fool’s joke. 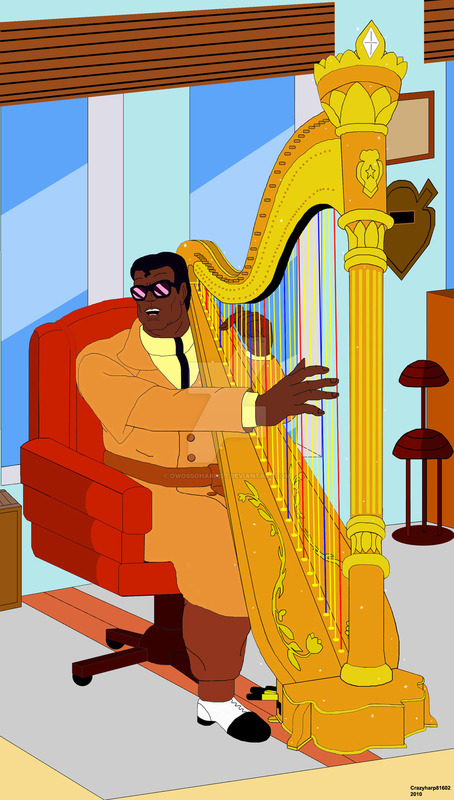 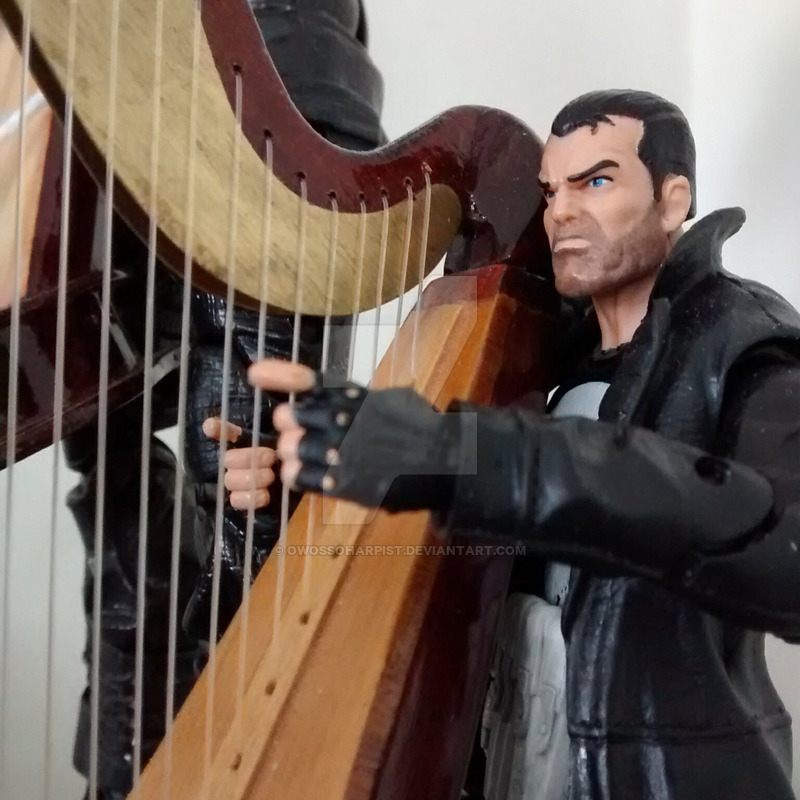 As you can see below, Konkus takes her harp wielding Frank Castle very seriously!